I’ve had unusual travel companions before, but I think today’s visitor would be one of my most unusual. 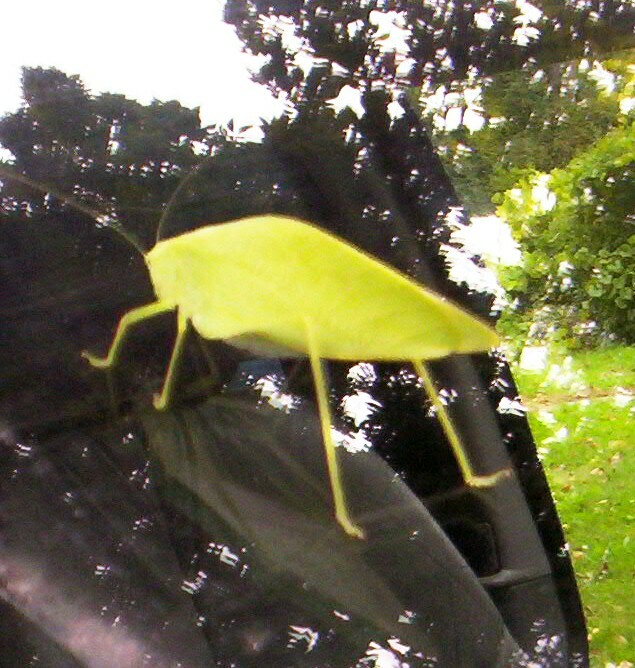 His name is: “Oblong-winged Katydid” and he decided to ride on my right-front windshield for a total of 5 1/2 miles! They look like a giant walking leaf. Not sure what he found interesting on my windshield; I’m guessing the wind pressure is what kept him from flying away although he never left when given the opportunity at stop lights. Maybe he was just enjoying the ride! 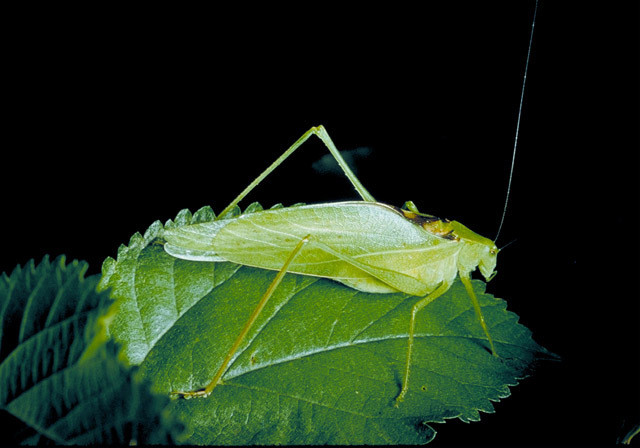 When I got home I snapped his photo then gently guided him off my car, hoping he wasn’t too traumatized to resume his normal daily Katydid duties. ps: Can you tell I’m trying to remember to blog more often lately? Today I learned, once more, just HOW small our world really is. At church I was introduced to someone who did not look familiar IN THE LEAST. It turns out we went to grade school together for a good four years! 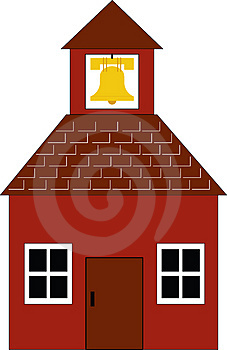 After church while my husband and I were chatting with he and his wife, we discovered that his wife and my husband went to high school together! They now live in Florida, so that just added to the coincidence of the whole thing; they were up here visiting his mother, who also goes to our church (I didn’t know that!) Awhile ago, another senior couple at church introduced themselves to me, opening the conversation with: “You went to high school with our daughter!” How funny-it turns out I went to school with both of their children; the daughter and I were in Girl’s Choir and the Girl’s Swim Team together, and their son & I went to summer school together one summer (I was taking extra classes so that I could free up part of my senior year in order that I would be able to take a job at the local phone company AND complete my senior year in high school.) How funny! I could see something like that happening in a really small town, but our urban population isn’t exactly what you would call small! (just looked it up on Wikipedia) The current population is 66,337; not exactly small town America. Anyway…that’s what’s going on in my ‘little’ world today; hope you’re having a stellar day! It’s in the 70’s, sun shining brightly and the leaves are starting to change color and a few are beginning to fall. Enjoy your day! It’s another glorious day here in Michigan: sun shining brightly, slight breezes and around 78 degrees. As you can see, I’ve been busy ‘perfecting my craft’, so to speak. I’d heard from many friends who have also knit this pattern (Ballband dishcloth pattern) that it could be addicting. I’m here to tell ya…they are! Hope you’re having a great day, it’s a sunny 77 degrees here and just gorgeous. Happy Tuesday! Sometimes in life there comes a task/project/or new learning experience that you just can’t seem to wrap your mind around…ever have one of those? 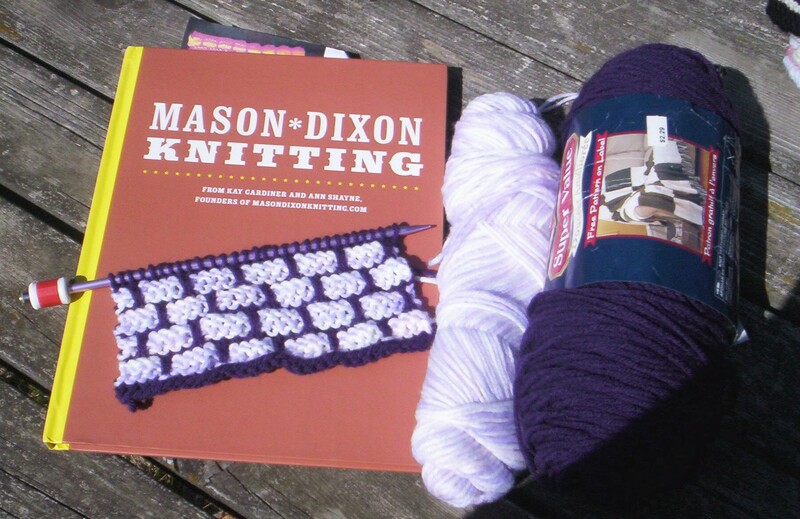 Mine, this time out, is the “Ballband Pattern” from the Mason-Dixon knitting book. 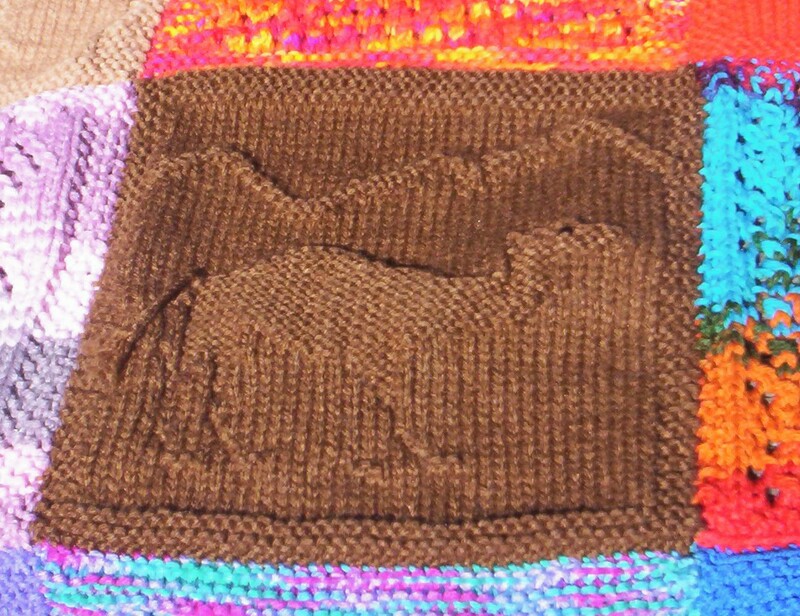 A dear friend from my knitting group tried her best (and was VERY patient, by the way) last Tuesday during Knit Night. Yes, I did knit many rows, but you would NOT call them correctly done! Undaunted by my previous efforts, I sat down yesterday to, once again, attempt this pattern. 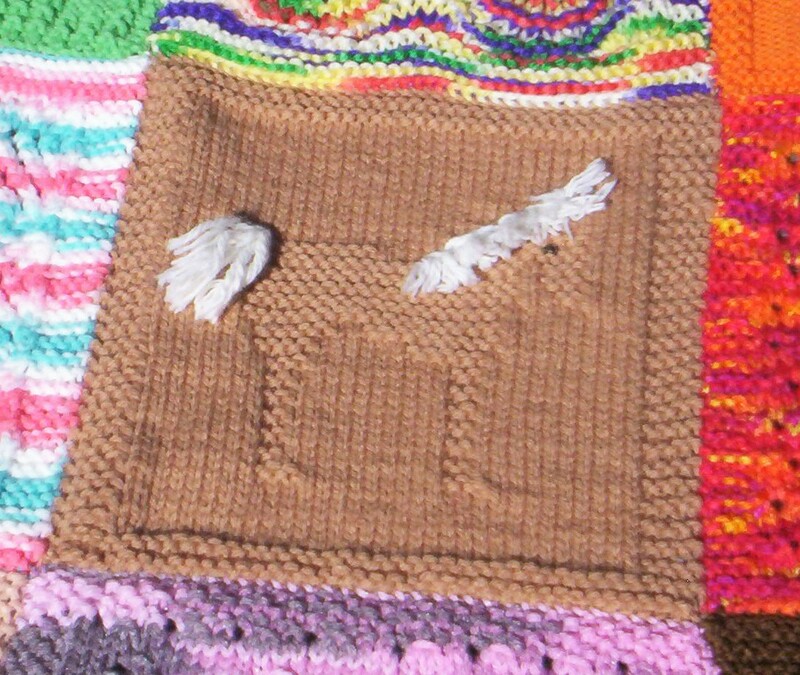 Many rows were knit, but at the end, I ripped them out…kept getting ‘stuck’ at the same place. 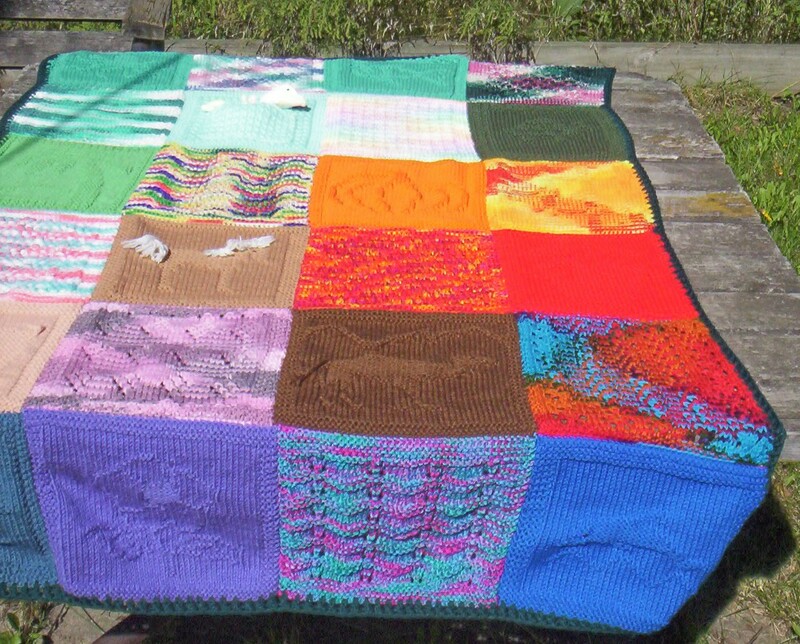 Today is a gorgeous 79 degree day; lots of sun and a little breeze-the perfect knitting day! To say that I’m stubborn would be putting it mildly. 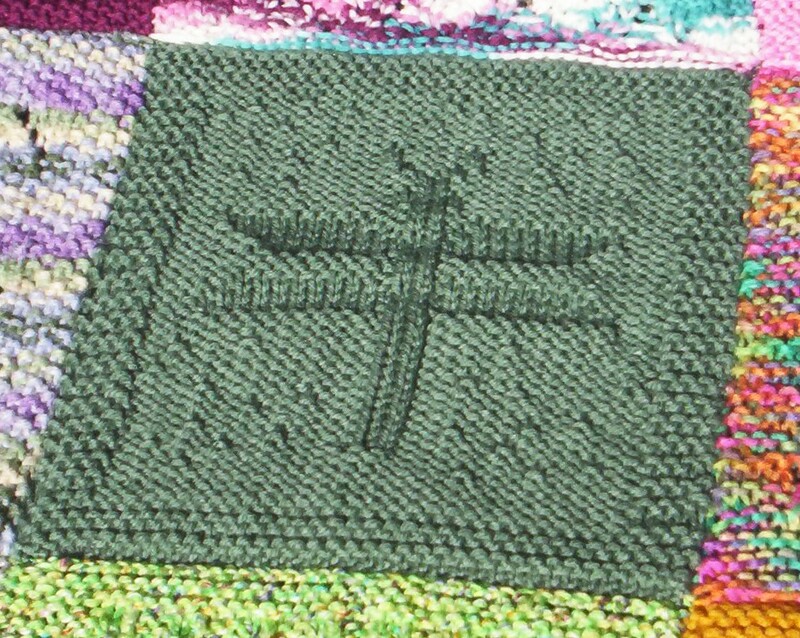 (perhaps being Scots might have a bit to do with that…but who knows- I digress…) Attempting ONE LAST TRY at this pattern, I took the book, yarns, needles AND a ROW COUNTER outside to the picnic table and set about my strategy to conquer it. As you can see from the picture, I think I’ve finally got the hang of it!!! YAY! Another friend from my knitting group donated 5 kitchen-sized bags of acrylic yarns to the Ghana Project; in those bags were several little tiny balls of various colored yarns. I decided (being that I’m Scots and can’t waste anything…honest!) 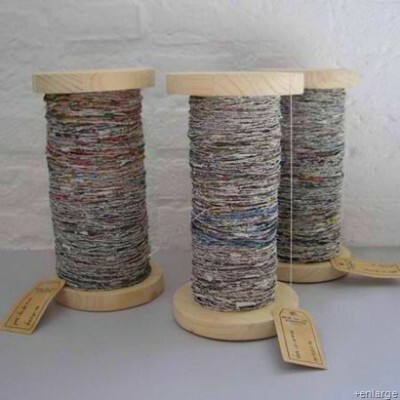 to see what I could do, creatively, to use up these little bits of yarn. 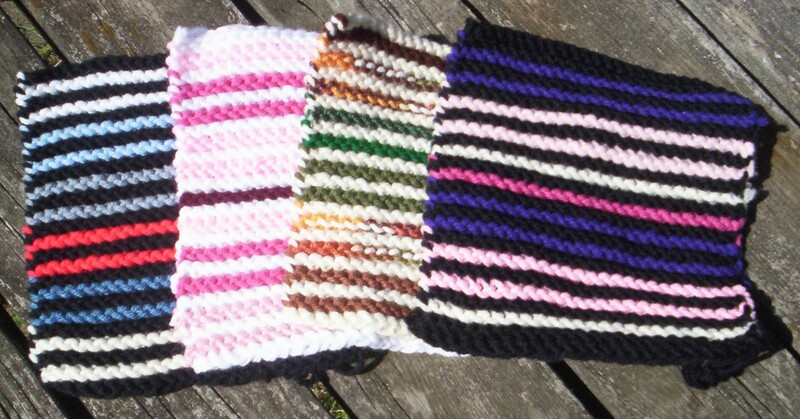 (You can see the results in the multi-striped squares photo). There’s still more little balls to be finished off, so that’s another of my little ‘projects’. I love a challenge (especially if it has to do with crafts), so these two listed above have kept me mentally ‘alert’ this week, for sure! OH! I don’t know about YOUR weather, but I know that our weather was affected by all the hurricanes in the Gulf last week. Remembering an ‘old wives tale’ from my childhood having to do with seeing Woolly Bear caterpillars, this cute little guy was outside today. Judging from the size of his ‘red middle part’, we’re in for a pretty HARD winter…sigh. That’s all for now; hope you’re having a good day today! ps: This was sent to me from a friend-(I don’t know how to do a ‘link’, but if you highlight it and put it on a server, you should be able to pull it up). It’s a test of your Mind’s Age! Give it a try! This is in Japanese but the gist of the game is to see how old your brain is…after the game is done the number that appears at the end is your brain age. I wrote this post yesterday (9/20/08; Saturday). 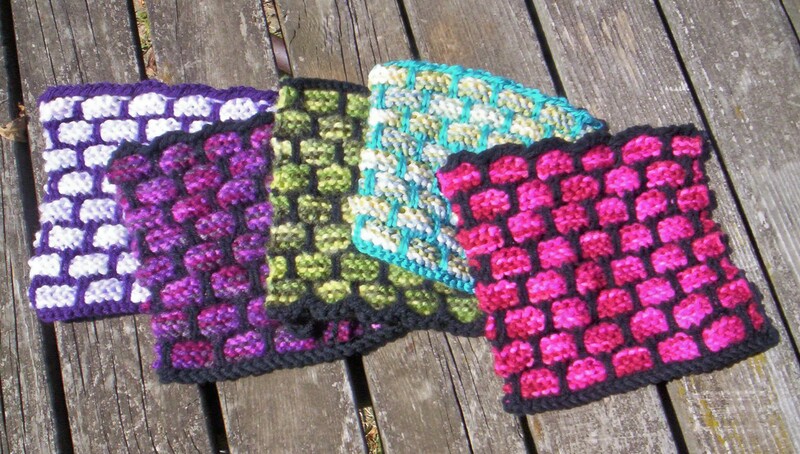 Since then I’ve finished 3 ballband dishcloth pattern squares…think I’ve finally got it! It seems WordPress doesn’t want me to write after the last photo, so I’ll close here, instead. 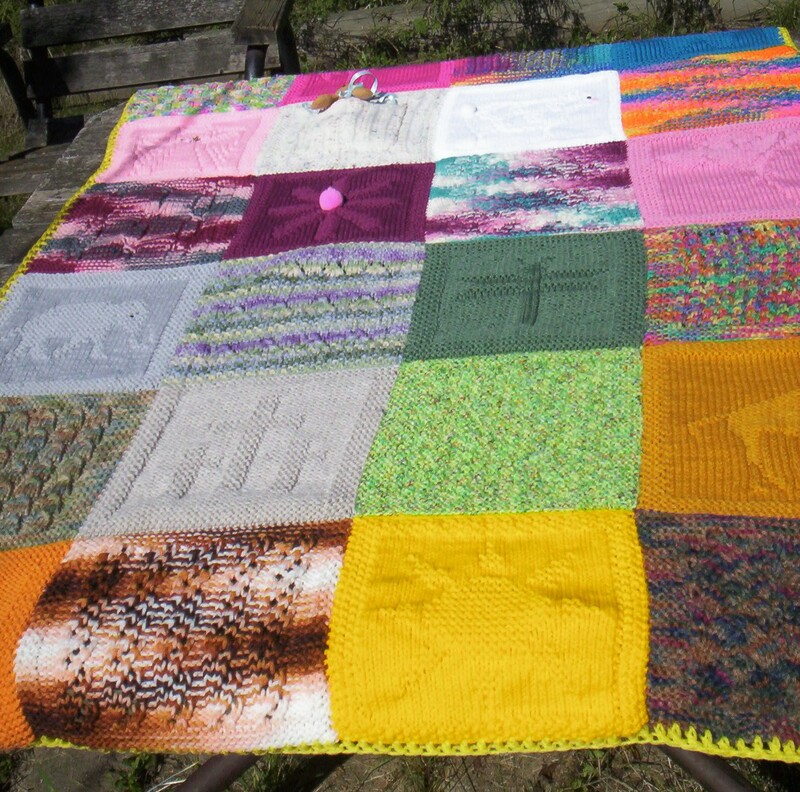 Tags: afghans, Knitting, The "Ghana Project"
Just finished a ‘re-count’ on the afghans…we are now at a total of 115 finished! YAY! Still don’t know when the next trip to Ghana is, but that doesn’t stop me assembling the ones I can. Just wanted to post a little ‘something’ today, as I have been slacking off on posting. No news yet on another car for the middle son; he’s caught up in college homework and his job, so a car is sort of ‘on the back burner’, at least until he has another off day. Tonight’s my Knit Night with the knitting & crochet group I started last year. I love getting together with other people (can’t say just ‘women’, as we have a young man in our group, also…a brother to one of our knitters. By the way-he’s a great knitter!). Sometimes just the ‘getting away’ is a joy; spending a few hours doing something I love (knitting), enjoying a great cup of coffee (and/or something to nosh on, too…) relaxes AND rejuvenates me at the same time. The people in my group (and there are about 11-12 ‘regulars’) are a very diverse group-each with varied levels of knitting skill, from beginner to very advanced. Even though I’m sort of in the middle on skill levels, I truly enjoy seeing all their projects and accomplishments. We are able to share hints/tips, ideas, patterns and support. I’m so glad this little ‘idea’ became a living, breathing object which brings joy to others, as well as myself. Yes, friends, once again we’re in the middle of that ‘lovely’ mess: middle son’s car problems. For a brief (VERY brief) moment…actually less than one whole day, his car ran just fine (or so we thought). For whatever reason only known to middle son, he decided to take said car over to Midas to have them look it over and see if there were any other problems. Bad (or good, I guess) idea. Midas said that this car has a bad leak in both the oil and transmission areas and, if driven continually, could burst into flames! GREAT! We’re dealing with my very hyper middle son who freaks out at almost anything-you can imagine what THAT news did for him! They said that he could drive it for small trips as long as he continued to put in transmission fluid and oil, so for now…that’s what he’s doing. These ‘short’ trips only consist of him driving to work (less than 5 minutes). As to his driving back and forth to college twice a week (a good 20-25 minute trip, one way)…GUESS WHO’S driving him there??? One good guess………yep, it’s me, AGAIN. We’re sitting on the whole situation of what to do, all over again. He doesn’t want to spend any money (I’m saving for COLLEGE!) on a new car, and yet I’m not going to continually drive him everywhere, either. There was a brief moment where I suggested perhaps I could go looking for a vehicle and see what I find, but that’s about where that one left off…just a brief suggestion. My husband is driving a 15+ year old mini van; my thoughts were that I could, perhaps, find a newer van (for me), husband gets my mini van, and middle son gets the old van, but that’s once again, a temporary solution. Right now NONE of us have any floatable cash for a car deal, so we’re just ‘waiting’…for a better idea, for a reasonable car to turn up, etc. Not much else going on, some knitting & sewing squares together, reading library books…the ‘usual’. I’ve actually been frequenting the library more often lately, having discovered the mysteries of using my card from home to reserve books. New system for me: look up all sorts of books on Amazon.com, write down the titles, then go to the local library site and reserve them! GREAT IDEA! I’m averaging two books a week, so far. Of course these are rather ‘fluffy’ reads: Debbie Maccomber (knitting novels), and a few murder mysteries (my favorite author: Faye Kellerman has a new one out…not her best, in my opinion). It’s been slow around here lately, (to me, anyway). I know that very soon it will speed up considerably; September is the return of my other knitting group, the church Ladies Fellowship meetings, choir practice, Gym Night for my special needs group, just to name a few ‘more’ activities. 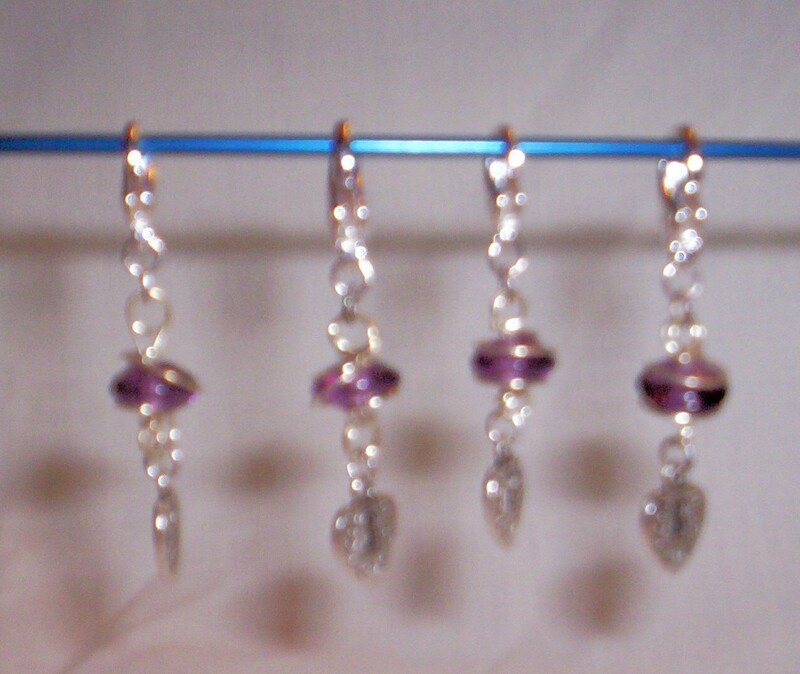 I love them all and would be hard-pressed to choose, if I had to eliminate one. I’ll let you go for now and get back to working on afghans. (NO, it never bores me…just in case you wondered…grin). Sometimes, in the world of blogging, here’s just not much to write about! The days go by, each just about the same as the others, and you’re faced with a big void where your blog posts should be…what to do? I don’t know about the rest of you, but I tend to start getting a bit guilty feeling. Here it is, the second week in September, and I don’t have much to write about! There is, however, a new development in our household as of this evening…middle son’s car is now running again! YAY! That means that this Mom/Grandmother can finally plan her days around the things that happen in HER life and not those of middle son’s college AND work schedule! It’s been “more of the same” when it came to his car situation: it just stopped running and he didn’t have the money to even have it towed to get it checked out. For who knows what reason, the other day his friend happened to say: “What happens if you try to jump-start it?” WHAT A GREAT IDEA! Long story short: it needed a new battery! He & I went to a battery store today and my dear husband installed said battery IN THE POURING RAIN tonight (with the help of youngest son who valiently stood holding a big flashlight and golfing umbrella so that Dad could accomplish this task.) Oh…the rain, you say? Yes, we suddenly went from a nice early fall day with temperatures in the high 60’s to a freezing-cold 54 degrees and pouring rain! I jumped in my car tonight to go get middle son from his work, totally oblivious to the actual drop in temperatures. I was wearing shorts and a short-sleeved top and froze my ……’s off! (YOU fill in that blank!). I’m now happily dressed in my flannel jammies, winter bathrobe, fuzzy slippers and sipping a nice, hot cup of tea! BABY, IT’S COLD OUTSIDE! Sure hoping the dawning of the new day brings a cessation of the rain and a little higher temperatures, but who knows…it’s September in Michigan: anything can happen (and has been known to! ).